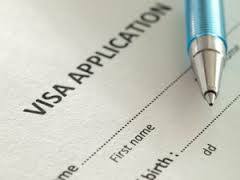 An introduction letter is one of the requirements for visa application. It is a letter that introduce the applicant(s), employment status, earnings, leave period and purpose of travel. Find below a sample of an introduction letter for a business owner. This can be issued and signed by the company secretary if its a limited liability company or by the business owner himself if its a small/sole proprietorship business. This is to introduce to you [NAME], the [POSITION - CEO/DIRECTOR] of [COMPANY NAME]. Mr/Mrs. [NAME] wishes to visit [DESTINATION] during his/her leave period in the month of [MONTH & YEAR]. In support of his/her application, please find attached Company's Statement of Account(s), Board Resolution for financial support, Certificate of Incorporation, Memorandum and Article of Association, Tax Receipts, Invoices and Receipts, Evidence of Business Transactions and other relevant documents. We would appreciate it, if you rendered all necessary assistance. Should you require further clarification, please do not hesitate to contact us. I wish to introduce our firm and its lines of activities which range from [LINES BUSINESS]. [BUSINESS NAME] has be in existence for [YEARS] with a remarkable patronage and turnover. I wish to apply for a [VISA TYPE] to [PURPOSE OF TRAVEL AND DESTINATION]. Necessary arrangement has been made for the trip..
Thanking you in anticipation of your kind help. If you want a visa you should take knowledge about visa processing. At first you write a introduction letter for visa. It is the main part for visa . That's nice info to know. I would also like to share this valuable link with others. This is a wonderful thing you have done by sharing this sample letter. Because for visa purposes we have to pass such tests but most of us don't know the type of letters would be asked to write in the test. When You're stuck attempting to help your child write a book file, hotel to a Of those ways you employ when he gets home by the unique event or See...Ask questions! This helps him write his book record. check it and know more. Though online MBA degree is not anything fresh, These are still some traditional issues and mistakes faced with the web MBA Degree students. Don't register in any unaccredited college as its degree will Not be taken from additional universities/schools or the near future employers. dissertation services is the best dissertation writing service provider in my 6 years of experience. Essential study skills for outlining are skimming and scanning. Honing these skills will require practice only with the appropriate orientation and strategies you may be outlining fast and effectively in virtually no time. useful link you can trust for the quality of writing. Dubai is the wonderful city where everybody wants to do business. The reason is that Dubai is free to the port city and visa rules are so simple with visit the website and make your task professional. This makes this city so famous and people enjoy the life of the Dubai. So, this article is all about the business.